What are the ingredients for a great summer vacation? Some people feel like breathing fresh air in the mountains while others prefer relaxing on the beach. Well, if you’re a beach type, then you better be warned because after reading this article, you might have found your next holiday destination! Itacaré, a small town in the state of Bahía, Brazil, has a peaceful, bohemian vibe that brings you to a different dimension. 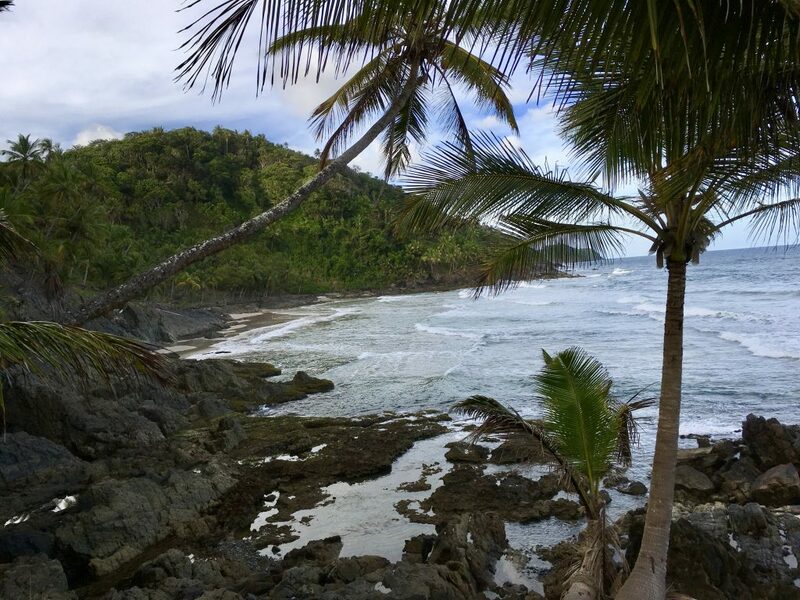 Tourism here targets backpackers, surfers and people who look for an eco-friendly escape from the bustling city life. Don’t expect any 5 star hotels but choose one of the many cosy pousadas or guesthouses. It’s a great surf spot for surfers including many locals. After sunset they mingle with the tourists in the dynamic nightlife of the city. But first things first; it’s not an easy place to get to. It’s a five hour drive from Salvador de Bahía including a ferry. 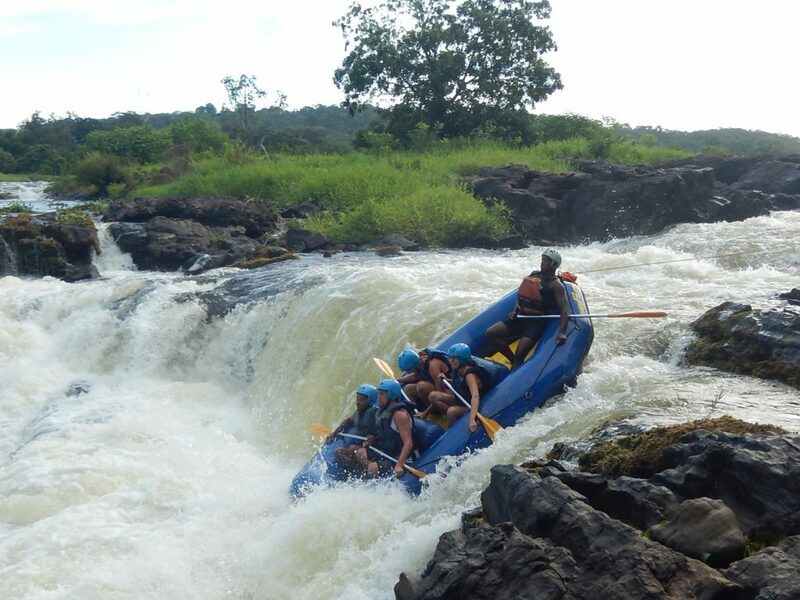 You can shorten the drive and take a break at the Tijuipe Waterfalls. Alternatively, you can fly to Ilheus which is only 70 km away. In both scenarios, however, renting a car is a must to discover the remote beaches in the area. There are 5 beaches at walking distance from the city centre: the first one, Concha, is the most popular and crowded one. 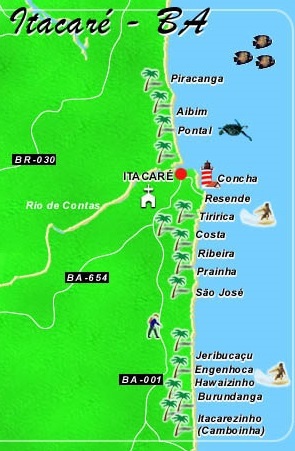 The next 4 beaches, Resende, Tiririca, Costa and Ribeira are right next to each other. You can walk the easy way via the street or take the more adventurous way (including the views) via the beach side. Beautiful beaches, but we invite you to compare these with the more deserted ones. Beware because you can’t just park in front of these beaches. The path to Jeribucaçu in particular is strongly downhill (it takes more than half-an-hour to get there) but it’s worth the effort. First you’ll arrive at the largest part of the beach with some beach bars. If you keep on walking, you will discover some beautiful, private beaches. Engenhoca and Havaizinho are two other beaches definitely worth mentioning. You can park at the side of the road, but again, you’ll first have to walk half-an-hour. Both can be accessed via the same path. 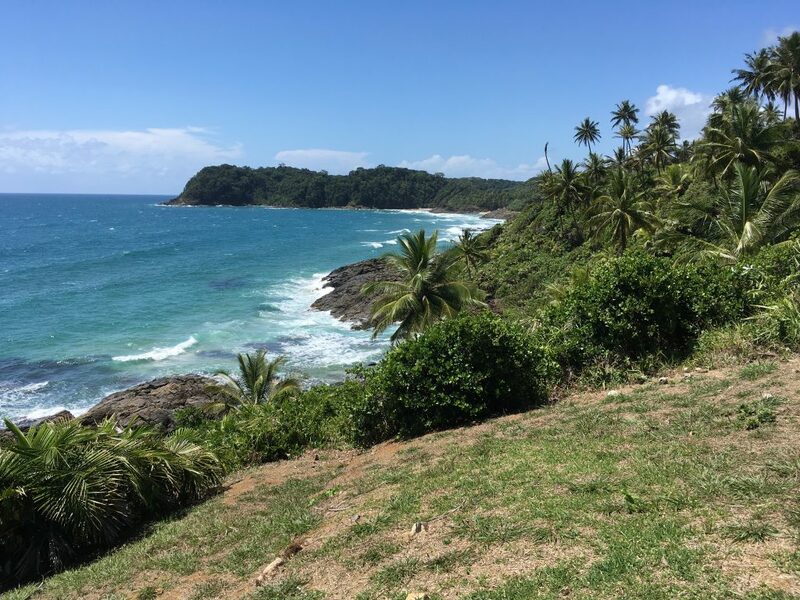 Engenhoca is the large beach at the very end of the path, a beautiful stretch of white sand, and Havaizinho or “Little Hawaï” lies on the right side of the path. After sunset, the main street in the centre turns into a dynamic pedestrian area frequented by locals and tourists looking to finish their day on the beats of Bahía. Many pubs serve from behind their self-made outdoor bar and we bet you cannot resist their delicious drinks mixed with fresh tropical fruit. The variety of fruit is just incredible. There are lots of dining options but we’re fan of the vegetarian dishes at Naturalmente, the crêpes of Tio Gu and the nice seafood at Manga Rosa. For a more casual dinner, get some delicious tapioca at one of the many street stands. Those who are seeking for a little bit more adventure to compensate the lazy days at the beach, will definitely get an adrenaline shot in Taboquinhas. A small town at 30 minutes from Itacaré where you can sign up for rafting. A very cool and recommended activity! What else do you need to relax? Beach, surf and caipirinhas are definitely some of the ingredients that help you get in the right mood. The chill vibe that reigns over the city is just so contagious. So, that being said, where are you heading to for your next holidays?